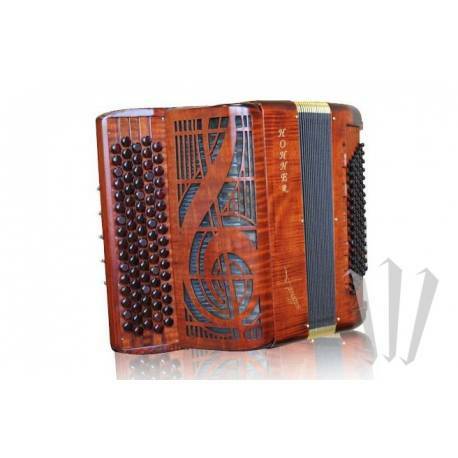 Versatile, compact 96-bass chromatic button accordion with double tone chamber. It has 82 buttons, 4 voices, 8 registers on the right hand / 5 voices, 5 registers on the left hand. 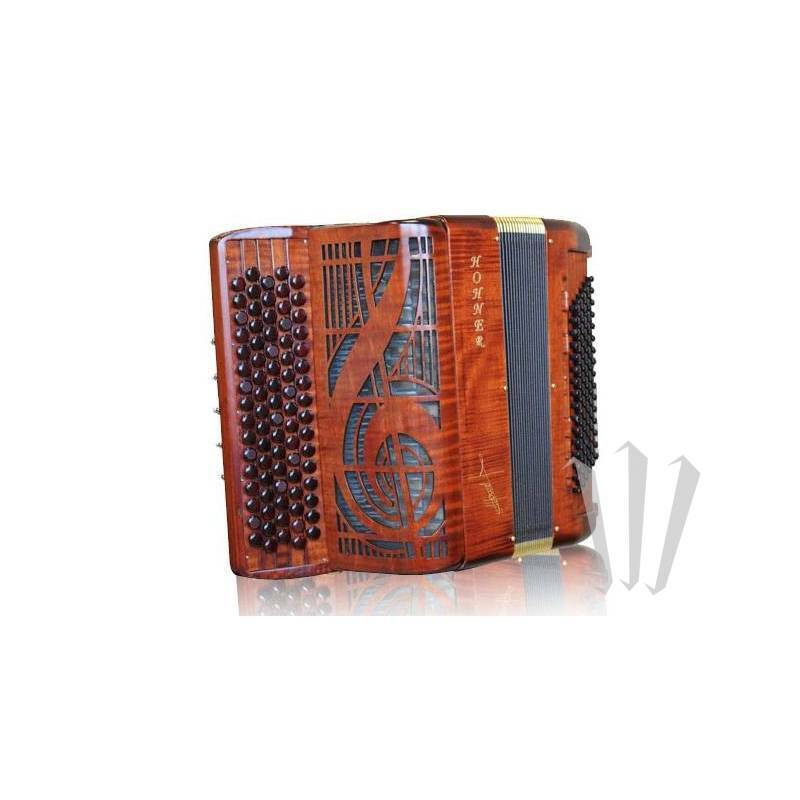 Ideal for stage performance with double bassoon (LL) and amplifier.